Still, when are we getting a legit game of holo chess? As if pulled straight out of an intergalactic conversation between Darth Vader and the Emperor, the BBC has revealed it's been experimenting with the potential uses of holographic technology in the future TV market. To make their experiment work, the Beeb took a 46” TV from one of its offices and then asked a local plastics cutter to make a simple acrylic pyramid shape based on some sketches drawn up by some in-house designers. By placing this acrylic pyramid on top of the flat screen TV, the BBC was able to try out a modern-day version of an old Victorian theatre technique and create the illusion of floating 'holographic' like images. Of course, not every kind of image would work in such a setting so the team behind the experiment scoured the vast BBC archives for footage that would suit a 3D, projected image before bringing in the services of hologram specialist company MDH Hologram. 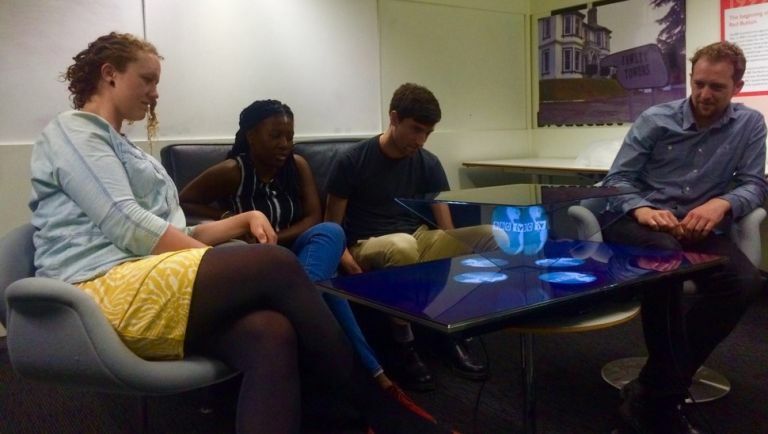 "We tested out our display with a few audience members who were doing a tour of our New Broadcasting House building in London," reveals the BBC in a post on its official blog. "Reactions were mixed, ranging from 'you feel more engaged with the image, more involved' and 'it brought it to life' to 'it was better from a distance than closer up'." After testing it out on a few audiences, it turns out such a setup works best when ambient light is very low and should be viewed from eye level for the best possible results.